Former Clemson player who transferred to USC says he is leaving the game for his long term health. The wild ride for former Lewisville standout Josh Belk has taken another turn and this time, it appears football is no longer in his future. Belk tells VizorSports.com in a tweet "I fractured a vertebrae and decided to choose another path in life. One that won't potentially mess me up in the long run with injuries and all. Been praying and this is what God has led me to". Head coach Will Muschamp released a statement on Belk - "After talking with Josh Belk, he has decided to give up the game. He is a fine young man and we wish him the best." 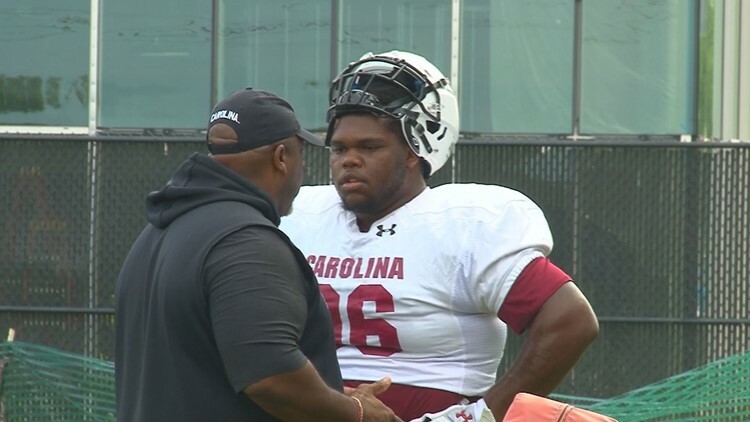 Belk, who originally signed with Clemson, left the Tiger program after the spring of 2018 and transferred to USC so he could be closer to his family in Lewisville. He was able to join the team at the start of preseason practice and was granted immediate eligibility by the NCAA. As a freshman, Belk played in six contests, including each of the final four games after dealing with a ankle injury during a seven-game period. He recorded seven tackles and a quarterback hurry. The 6-foot-3, 259-pound defensive tackle registered a career-high three stops vs. Virginia in the Belk Bowl. The former Army All-American and four-star prospect was ranked the No. 21 defensive tackle in the 2018 class.